Invite your friends and family to help you grow your idea or inspire others to grow theirs! We regularly host open Startup Game Nights for you to experience the Startup Game. Those are great to grow your own business or inspire others by playing the game! Check for next events at facebook.com/thestartupgame! Grow your business or inspire others to grow theirs There are more start-ups than ever and you can start a company out of a cardboard box. 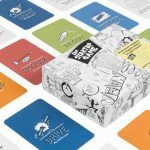 With 60 tool cards that place you actively in the seat of an entrepreneur this game helps you to actually go and do it. Who would you hire? What would be your marketing campaign? Would your company be a tiger or a turtle? And would you rather have Obama or Branson in your virtual board? "An educational and fun game to play" "I didn't expect that I would have so much playing" "An ideal game to gain playful inspiration for your company" "This game is a great opportunity to get you where you need to be: out of your comfort zone!" Every venture, whether personal, business, social, technological, or otherwise, begins with you. You are likely to be the first to do something, so don’t wait for the right time, or the right place. Start now. Invite your friends and family to help you grow your idea or inspire others to grow theirs. 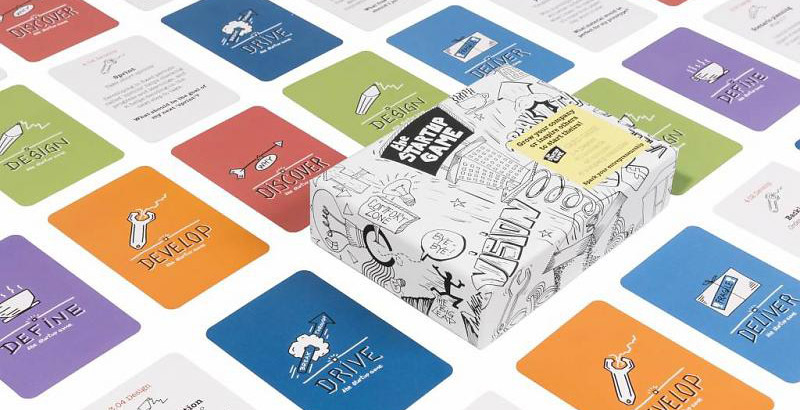 The Startup Game generates more effective ideas than any other game in just 45 minutes. Guiding you from creation to realisation using SixWaypoints: Define, Discover, Design, Develop, Deliver and Drive! Each Waypoint has it’s own specific focus and result, they are the logical order for all the tools you need, to get started. 60 toolcards put you actively in the seat of an entrepreneur. Who would you hire? What would be your marketing campaign? Would your company be a tiger or a turtle? And would you rather have Obama or Branson in your virtual board? Obviously we use the tools in the Six Waypoints very often, that means we test a lot. Feedback grows ideas – Help us by growing your own business and tell us how you did it on: ididit@sixwaypoints.com!